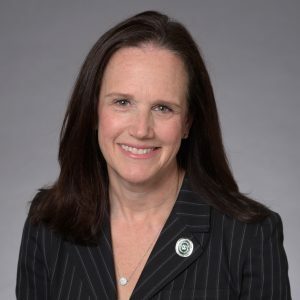 Dr. Jill Baren is a member of the Executive MBA for Physicians class of 2019 and an emergency physician who has been practicing for 25 years. She was also one of the first physicians to subspecialize in pediatric emergency medicine. She has practiced in both urban academic hospitals and freestanding children’s hospital emergency departments. Currently, she is Professor of Emergency Medicine, Pediatrics, and Medical Ethics at the Perelman School of Medicine at the University of Pennsylvania. She is also President-Elect of the American Board of Emergency Medicine. Below, we discussed Dr. Baren’s new venture, Camp Health Consulting, which helps camps achieve exceptional standards of healthcare by providing education, operational advice, and recruitment of qualified nurses and doctors to work in the unique setting of a camp . We discussed the venture, how it came to be, and how the EMBA for Physicians program has been helpful so far. Can you tell us about your venture? I founded Camp Health Consulting with my business partner who is also an emergency physician. Both of us are passionate about working as physicians in residential camp settings, or “sleepaway camps”, as some people call them. Camps provide a great atmosphere for kids and offer various activities such as sports, science, outdoor adventure, and plenty of social interaction away from the internet! Camps are often located in more remote environments, in mountainous or lake areas, so the proximity to medical care can be relatively limited. My partner and I have a very long tenure as camp physicians (over 25 years between us) and both of us attended summer camps when we were growing up. We noticed that there were gaps in the standard of care that’s delivered at camp and in the skills of the providers that are typically recruited to work in camp settings. Many camps use nurses, not doctors. Nurses are trained on a treatment rather than a diagnostic paradigm so it’s harder for them to figure out undifferentiated complaints or perplexing problems without physician backup. Sometimes that can result in unnecessary trips to a hospital. In a typical camp health center you will see a combination of infectious diseases, dermatology, orthopedic, and mental health complaints, among other things. We think the best skillset for camp doctoring is emergency medicine, but other physicians with proper training and experience can be taught to fill in the gaps. We work with camp directors and owners to address deficiencies. Some camp health centers are starting from ground zero. They have no idea how to set up a health center and want advice about how many people should staff it, what their qualifications should be, and how they should deal with parent communication issues. We’re actively building our recruitment arm of the company. As clinicians, we have greater accessibility to clinicians and knowledge of the industry. Camp directors are busy recruiting everyone else needed to run a camp and find it difficult to recruit their health center staff each summer. When a camp decides to hire us to assist with recruitment, we will deliver an educated nurse or doctor – one that meets our standards and has gone through a series of educational modules that focus on the unique healthcare needs of kids at camp. It was nothing more than my own clinical experience working as a camp doctor at a summer camp that my sons attended many years ago. The director of this camp was invested in providing an injury free, healthy camp environment for nearly 300 campers and 100 staff, but didn’t always have the optimal tools to do so. For example, we had a medication distribution system that needed to be improved from a safety and efficiency standpoint and we worked together to accomplish that. There were other challenges I observed that made me think, “Wow, this is a business waiting to happen.” A few years ago, I met my business partner. A colleague connected us, and we instantly clicked as we had noticed the same exact issues at our respective camps and both had a love of camping. We agreed to build a business to improve healthcare at camps. We spent another year ironing out the business concept and then established the company. Now we’ve got a number of people involved. We have independent contractors, equity partners, and advisory board members, and we’re pretty excited about how quickly it has developed. We will be launching our products and services in the summer of 2019. How has the EMBA for Physicians been helpful in growing your venture? The EMBA program has been incredibly helpful. Most importantly, my classmates are so excited for me. They are interested in my business and have supported me, reaffirming my ideas. It’s like having a bunch of cheerleaders. There have been a number of classes that have been directly related to my work. Just this week, I went over my monthly financial statements with my bookkeeper and knew how to ask the right questions and easily follow the balance sheet. I learned how to do cash flow projections for the business. The program has provided me with real world knowledge that I can apply right away. The entrepreneurship course has also been a great help. I pitched my business in a slide deck for the class project and got pages of comments back from the professor. I’ve never had a professor take that much time to give such detailed feedback and I was really appreciative. Having the EMBA side by side, paralleling the development of the company, has been fantastic for me. What advice would you give to a physician who is thinking about pursuing an entrepreneurial venture? There are so many things you can do as a physician. The jobs are limitless. You just have to think outside of the box. I created this company but have no immediate plans to leave my position as a leader in academic medicine and a leader in my specialty nationally. Physicians should be empowered to believe that there are lots of jobs accessible to them and that many doors can be opened with additional skill sets. If you have an idea or if you are willing to partner with non-physicians or with other physicians who are interested in expanding their own skill sets, it’s totally doable. Physicians are lifelong learners. If you are a person with passion, who cares about improving health, there are plenty of areas that need work. You can do it. What advice would you give to a physician who is starting our program? People come into the program with lots of different goals. Whatever your goal is upon entering, don’t be rigid. Allow yourself to see what your classmates are doing and feel your way through the program. The connections you make as a part of the program with colleagues and faculty are invaluable. In our class, people are starting to grow into and envision themselves as productive in different roles than their current ones. Don’t box yourself in. Go with an open attitude because you never know what could happen. You are currently browsing the Executive MBA for Physicians Blog weblog archives for November, 2018.